I’m going to have to miss this year’s Necronomicon Providence. A combination of circumstances good and not so good are going to have me staying closer to home for August. I’m sorry to miss what’s already become a favorite event, but I hope to be back in 2019, and possibly during the film festival in 2018. In the meantime, be excellent to each other. The more things change, the more they stay weird! Weird fiction dates back to the late 19th century, and the real world is a far different place now than when the subgenre began. So, just what’s “weird” in 2017? The art of writing short fiction is obviously far different than that of writing a novel. That said, putting together a collection is also far different than writing any one tale. And what about when the stories are linked by a common setting or overlapping characters? Our panelists discuss the Jenga-like process of constructing a single-author collection. I’m very much looking forward to this; if you’re there, please say hello. 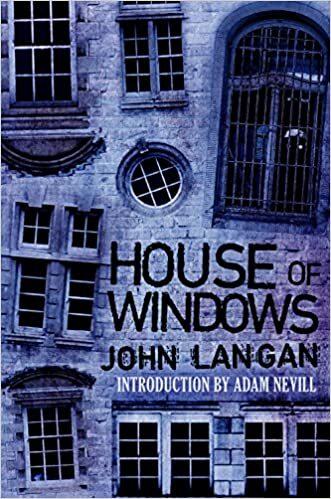 Today is the official publication day of the new edition of my first novel, House of Windows. This version comes with a new introduction by the brilliant Adam Nevill, an afterword on the writing of the novel, a reading group guide, and suggestions for further reading. (I had intended to include a new story with the novel, but as I was writing it, it decided it wanted to be a novella. *sigh* So what I’m tentatively calling “The Banshee” will be arriving a bit later than I’d planned.) Thanks very much to Jaime Levine and all the fine folks at Diversion books for giving my novel a second life. Next weekend, I’ll be returning to one of my favorite conventions, the annual Readercon. I’m looking forward to seeing old friends, meeting new ones, and taking part in what looks to be some fine programming. In case you’re at the convention, or are thinking you might like to drop in, here’s my schedule. If you’re there, please say hello. 8:00 PM 6 Footsteps in the Dark: The Sensory Range of Horror. F. Brett Cox (leader), John Langan, Darcie Little Badger, Elsa Sjunneson-Henry, Paul Tremblay. Horror is frequently thought of as a visual medium, and is often adapted for film and television. However, other senses are vitally important to the development of horror stories, and the experience of fear for the reader. Consider Josh Malerman’s Bird Box, which erased sight for the main characters, or the pounding in Shirley Jackson’s The Haunting of Hill House. Consider also the recent uptick in films with disabled characters, such as the Deaf writer in Hush and the blind antagonist in Don’t Breathe. This panel will explore these and other works of multisensory horror, and address how writers can create vivid horror experiences for readers. 4:00 PM 5 The Hidden Philosophies of Horror. Michael Cisco, Teri Clarke, Don D’Ammassa, Ellen Datlow, Maria Dahvana Headley (moderator), John Langan. Some works of horror imply that wickedness exists within everyone, and even the greatest heroes are doomed to succumb. Others seem to say that people are mostly good but poor choices with terrible consequences are inevitable. Supernatural horror and psychological horror often posit very different sources and types of evil. This panel will explore these and other philosophical concepts underlying various approaches to the horror genre. 5:00 PM BH The Deaths of Gods. Martin Cahill (leader), Greer Gilman, Max Gladstone, John Langan, James Morrow. In Philip Pullman’s Golden Compass series, two children literally kill God. In Victor Koman’s The Jehovah Contract, a hard-boiled PI is hired for the same job. Max Gladstone’s Craft books and Robert Jackson Bennett’s City trilogy explore the deaths of gods in polytheistic worlds. How do these narratives of mortals killing supposed immortals differ from ones where gods destroy one another? It’s too simplistic to think of these as atheist narratives; how do they explore the power of belief, and the intrusion of incontrovertible fact into a belief system? 8:30 PM B Reading: John Langan. John Langan. John Langan reads from an unpublished story forthcoming in his new collection, Sefira and Other Betrayals. 11:00 AM 5 Shirley Jackson Awards. F. Brett Cox, Jack Haringa, John Langan, Naomi Novik, Paul Tremblay. In recognition of the legacy of Shirley Jackson’s writing, and with permission of the author’s estate, the Shirley Jackson Awards have been established for outstanding achievement in the literature of psychological suspense, horror, and the dark fantastic. Jackson (1916–1965) wrote classic novels such as The Haunting of Hill House and We Have Always Lived in the Castle, as well as one of the most famous short stories in the English language, “The Lottery.” Her work continues to be a major influence on writers of every kind of fiction, from the most traditional genre offerings to the most innovative literary work. The awards given in her name have been voted upon by a jury of professional writers, editors, critics, and academics, with input from a Board of Advisors, for the best work published in the calendar year of 2016 in the following categories: Novel, Novella, Novelette, Short Story, Single-Author Collection, and Edited Anthology. 2:00 PM 6 Kafka-Klatch: When Old Becomes New. Michael Cisco, John Clute, John Langan, James Morrow, Eric Schaller. Franz Kafka is known primarily for stories that involve overpowering bureaucracies and intense absurdism and surrealism. Plenty of modern novels, such as Seth Dickenson’s The Traitor Baru Cormorant, deal with the same type of all-powerful bureaucracy that Kafka is known for. What are we seeing now that is in conversation with Kafka’s work, and what can we learn from it in the absurd, surreal 21st century? As you know, Bob, I review for Locus magazine, with a focus on books falling at the darker end of the literary spectrum. From time to time, they pass on one of my reviews, because they feel the book I’ve selected was published too long ago for it to be considered current anymore. This was the case with a review I wrote of Emma Cline’s The Girls, so I thought I’d share it here. For almost fifty years, now, the Manson family murders have preoccupied the American imagination. In a number of books and movies, Charles Manson (in varying degrees of disguise) has incited his followers to horrific acts, and time and again, they have followed his directions. It’s a story that accommodates multiple interpretations: as a parable of the dark underside of the 1960’s; as an example of the American infatuation with self-styled prophets; as a study of the willingness of the young to commit atrocities (which resonates with the American military experience in Vietnam). 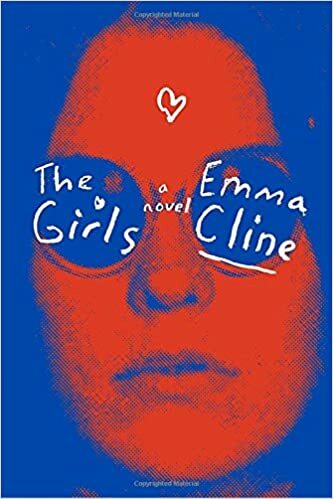 Now, in her excellent The Girls, Emma Cline has chosen to view the Manson killings through the lens of female friendship, desire, and obsession. The result is gripping. The protagonist and narrator of Cline’s narrative is Evie Boyd. As the novel opens, she is in middle-age, a home healthcare aide between jobs, staying at the house of an old friend. When that friend’s son, Julian, and his girlfriend, Sasha, show up to stay at the house on their way to a drug pick up, Julian recognizes Evie as having been connected to a set of notorious murders in her youth. Predictably, he wants to know if she participated in the crimes, which she denies, but with a hesitance that raises our suspicions. The narrative then shifts to 1969, where it will spend most of its time. Evie is fourteen, living in Petaluma. Her parents are recently divorced, her businessman father having committed the cliché of leaving her mother for his secretary. Still reeling from the breakup of her marriage, Evie’s mother exists in a state of almost permanent distraction, moving from fad to fad as she seeks to adjust to her new circumstances. This leaves Evie, who lives with her, largely free to spend her days as she pleases. This mainly consists of spending time with her best friend, Connie. Much of what later generations will associate with the era, from the counter culture, to civil rights protests, to anti-war activity, takes place at a remove, fodder for the evening news. Leaving for a boarding school in the fall, Evie is in a holding pattern. This changes when Evie sees a trio of older girls passing through a park in which a community cookout is being held. Something about the girls, their ironic attitude toward the festivities around them, catches Evie’s attention, and when she encounters one of the girls again, she seeks to earn her friendship. Suzanne—she gives only her first name—is coolly amused by Evie. But when she meets the younger girl a third time, stuck on the side of the road after her bicycle throws its chain, she loads Evie and her bike into the bus she and her friends are riding in and takes her to the ranch where they are living with the man they call Russell. The ranch is a study in chaos. Its (mostly female) residents subsist on food donated and scrounged from local dumpsters. The small children who are with them run free and largely untended. Defunct cars punctuate the grounds. All the women sleep with Russell. Cline’s Manson figure is overwhelmingly charismatic, a would-be recording artist trying to persuade an aging musician, Mitch Lewis, to secure a recording contract for him. Just beneath Russell’s surface, however, violence flicks its tail, ready to be set loose. Russell wastes no time bringing Evie to his trailer, where he sexually assaults her. It’s not enough to drive her away from the ranch, instead, she views the act as making her part of the community, as bringing her closer to Suzanne. It’s the older girl who is the focus of Evie’s attention, not Russell. For Evie, Suzanne is an emblem of radical freedom, a vision of what she might become, and, increasingly, an object of desire. Although Suzanne responds to Evie’s admiration, her affections are mercurial, subject to impulses that are frequently opaque. She fixates on Russell in a way Evie does not, as do the older girls at the ranch, and is jealous of the attention her pays to her. Yet she also has scattered moments of doubting whether Evie should be with the rest of them. For Evie, though, the ranch is an escape from a mother focused on a new boyfriend, a father suddenly a stranger. Her interest in the place is motivated less by an articulated politics and more by a desire to belong. In addition, the ranch is where she can be near to Suzanne, who emerges as her first great obsession. For this reason, when Russell sends Suzanne and a few others on a mission of violence, Evie is eager to accompany her. Although Cline does not shy away from the depiction of horrific events, her attention is not so much on sensationalism as it is on the possibility of some kind of ethical choice, even in the run up to an awful act. In its structure, The Girls recalls such Modernist classics as Heart of Darkness, My Antonía, and The Great Gatsby, novels whose narrators relate the tales of individuals in whose stories they played a part. From this perspective, Russell is of far less importance than Suzanne, whose tragedy Evie participates in and records. Scenes set in the present, when Evie spends time with Sasha, and observes her behavior with Julian, gives the narrative a cyclical feel, as she watches Julian and Sasha repeating the pattern of Russell and Suzanne’s relationship. In its closing paragraphs, The Girls suggests that Evie’s experiences have scarred her far more deeply than her calm and graceful narration has indicated. At the last moment, the novel offers a brief image of hope. It’s muted, conditional, and a fine conclusion to the book. My birthday yesterday included a lovely lunch with my Mom and her fiance at the redoubtable Port Ewen Diner, and an utterly splendid dinner at the Yum Yum noodle bar in Kingston, followed by a cake from the Cake Box bakery. It also included a surfeit of birthday wishes via e-mail, Facebook, and Twitter, not a few of which included images of Godzilla, which is always a good thing. Rather than spend the afternoon typing replies, I thought I’d offer my sincerest thank you here, and by way of expressing my gratitude, a sneak-peek at the first chapter of “Sefira,” the original novella that will be included in my upcoming collection, Sefira and Other Betrayals (which is up for pre-order, just in case, you know…). You all are the best. Lisa looked in the rearview mirror and saw that her eyes had turned black. The process had started a week ago, her second day on the road. She’d been washing her hands in the ladies room of a rest stop on I-80, somewhere in the sprawling middle of Pennsylvania, and when she glanced at the mirror for a spot-check, saw the black rings around her pupils. Heart whacking against her chest, she leaned forward. Her pupils were rimmed by black dark as squid ink. She drew closer. 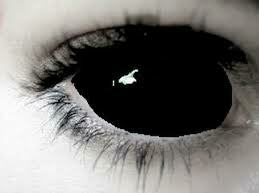 The black appeared to be moving, flowing sluggishly out of her pupil onto the green expanse of her iris. She pressed her nose against the mirror, trying to distinguish more detail, but her eyes teared, her vision blurred. Reflection fractured, she pushed away and hurried out of the rest room. She forgot to dry her hands, which she didn’t notice until she was gripping the wheel of her Accord. For the next five hours, as evening faded into night, and she continued on 80, until the fatigue drawing her lids down forced her to pull off at another rest stop, outside Pittsburgh, Lisa checked her vision every ten minutes, closing first the left eye, then the right, in an attempt to determine the full extent of whatever was happening to her. As far as she was able to tell, the change to her eyes was chiefly cosmetic. Her vision didn’t seem any worse, her eyes more sensitive to light; nor was there any pain. Which didn’t make what happened to them over the next seven days any less unsettling. Days two and three brought the steady darkening of her irises, until even she could no longer say where her pupil ended and her iris began. On day four, another mirror, this one in a Day’s Inn in Paducah, Kentucky, showed what appeared to be tiny black clouds churning over her eyes. When she entered the bathroom, she was considering another hour in bed, the prospect of which evaporated as she studied this latest development. The blackness that had spread across her irises was venting up into the humor beneath her corneas, like smoke rising from some internal conflagration. As before, she couldn’t detect any impairment to her vision, so after her shower, she slid on the Ray-Bans she’d grown so used to her reflection wearing that it looked more than naked, it looked incomplete, without their chunky tortoise frames, and headed for the car. At several points, when she saw the white “H” indicating a hospital off the next exit, Lisa debated turning from whatever highway the Honda’s wheels were humming across and steering straight for the emergency room. It wasn’t a question of whether whatever was changing in her was something to be concerned about. How could it be anything but? It was a matter of being one, at most one and a half days behind Sefira, and a detour to the E.R. would consume days, because they would have to admit her, and run tests, and treat her—try, at least. What would happen when their efforts failed, as she guessed they would? Specialists would be called in, experts consulted, she would be transferred to a regional medical center, a university hospital. They wouldn’t be able to let her go, would they? Not that she blamed them. They wouldn’t want to risk her infecting others with her disease, whose long-term effects might be more severe than she’d yet experienced. And all the while, Sefira would keep moving farther and farther away, first—assuming Gary was correct—to the motel in Montana, and after that, who could say? There was the chance—slim, but not so much it could be discounted entirely—that she would overtake Sefira, catch her unawares at some all-night truck stop, surprise her on her way back to that ridiculous van. Even if, as appeared likely, Sefira maintained her lead, Lisa would arrive in time to confront her at the motel. According to Madame Sosostris, she would rest there for at least three days, possibly a week. All of that, however, was contingent on Lisa keeping her foot pressed on the gas pedal, the car in 5th. Lose a few days, lose Sefira. On day five, though, she’d awakened with her eyes burning. She stumbled past the frowns of the counter staff at the McDonald’s in whose parking lot she’d been sleeping, into the bathroom. Her sunglasses clattered in the sink. The woman in the mirror might have had the mother of all hangovers, or a virulent case of pinkeye, except that the blood vessels crisscrossing the whites of her eyes were black, as if someone had drawn on her sclerae with a fine-tipped pen. Throat tight, she splashed cold water in her eyes, which helped the burning for a moment, but had no effect whatsoever beyond that—as if it would have, as if she could have cleaned her eyes of whatever was staining them. She bought a bottle of sterile saline and a bottle of Visine at the CVS next to the McDonald’s, then returned to the restaurant’s bathroom to rinse her eyes with the saline and douse them with the Visine. The treatment brought some measure of relief. She ordered a large coffee to go and went, back on the road. For the rest of the day, her eyes were too dry, gritty. Her eyelids scraped across them every time she blinked. She had to pull over what felt like every ten minutes to use the Visine. She was annoyed. The time it took her to roll to a stop, tilt her head, pull down her lower lid, and squeeze the eye drop in was time slipping through her fingers. Immediately under the irritation, like dark water under a scrim of ice, was fear, anxiety that the process underway in her eyes had entered a new phase, that this was the start of something worse, something she’d missed whatever window she’d had to address. The fear seeping into her annoyance, Lisa went so far as to take the next exit that advertised a hospital. She navigated within sight of it, only to have an emotion she couldn’t name make her foot press the gas, her hands steer for the signs that led back to the interstate. When her eyes felt better the next morning, she told herself that she’d made the right decision. The black capillaries crosshatching the whites of her eyes had multiplied to the point the whiteness seemed the oddity, the result of a child’s careless coloring. Within another twenty-four hours, only a few, pale spots would be scattered across her eyes, like spattered paint. By then, she would have crossed into Montana, and whatever concern had swelled at the penultimate phase of her eyes’ transformation would be swallowed by the sensation that jolted her when she saw the sign welcoming her to Big Sky Country. It was as if the yellow line delineating the state’s margin in her frayed and dog-eared Rand McNally were an actual border, as if in crossing it, she had passed into something else, analogue to the shift in the map’s colors from the blue edge of Wyoming to the white expanse of Montana. It was like having had a bad cold, nose blocked, head fuzzy, and then taking a drug that cleared the symptoms instantly. The landscape streaming by her window wasn’t especially different from what had flown past the last few hours in Wyoming—land like rumpled sheets on a bed, thick with yellow grass, the occasional house or gas station or farm like a set for a movie—yet it seemed brighter, as if lit from within by millions of tiny, brilliant lights. This impression had not abated when a glance in the rearview mirror showed her eyes completely black. Despite everything, the catastrophe that was the last ten days, what Gary had done and what had been done to him, what she intended for Sefira with the butcher knife wrapped in a towel and stuffed under the spare tire, the ongoing changes to her, Lisa was startled, jerked the car to the left, earning an angry blat from the eighteen-wheeler rumbling past her. She steered away from the truck, back into her lane. The difference in her eyes was of the slightest degree, but she could not stop staring at them. After a second truck, this one a pickup behind her, honked because she had failed to notice herself slowing from seventy to forty-five, she decided it was time to pull off. She hoped there was a McDonald’s at the next exit. The drive-thru window meant she didn’t have to worry about the teenager working the register staring at her because she was wearing her sunglasses inside. Not to mention her mouth: there was no disguising that, now.